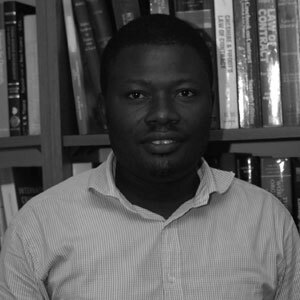 Atanatius is the Litigation Clerk of our Firm, he is responsible for all administrative tasks including filing legal processes and coordinating the numerous documents and exhibits necessary for filing at the Court’s Registry. He is also responsible for ensuring that confirmation is obtained in relation to any court hearings and is the Firm’s liaison between the Court and the Firm. He has excellent organizational skills and extremely efficient. He frequently engages with the Firm’s legal and non-legal staff and assists in making their work easier. He is experienced, efficient and comfortable with highly confidential information.